You’ve heard the one about the priceless painting bought at a yard sale, and the one about the classic muscle car found in the old barn out back. The most recent entry in trash-into-treasure lore comes courtesy of the Army football program, a coaching legend and a Goodwill clothing outlet in Asheville, North Carolina. 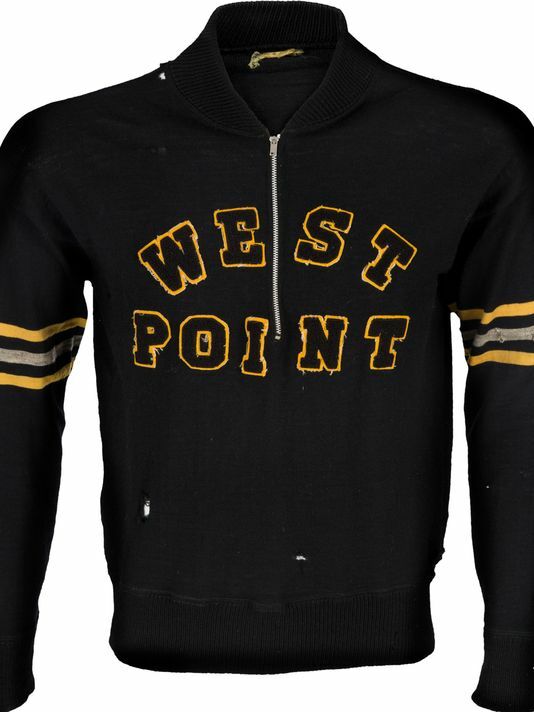 A West Point sweater once worn by Army assistant coach Vince Lombardi netted $43,020 at a New York City sports-memorabilia auction Saturday night. Its owners, vintage clothing sellers Sean and Rikki McEvoy, picked it up at an Asheville Goodwill for 58 cents, Asheville’s Citizen-Times reported. 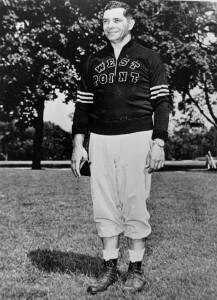 Lombardi coached under Earl “Red” Blaik at the academy from 1949 to 1953 before joining the staff of the New York Giants as offensive coordinator (Tom Landry coached the defense, for what was likely the best coordinator lineup in NFL history). Lombardi moved on to Green Bay in 1959, winning five NFL championships in nine years with the Packers along with the first two AFL-NFL title games, a contest that eventually would carry the name “Super Bowl” and award its victor a trophy named for Lombardi in 1971, a year after his death. Before becoming a Packers legend, Vince Lombardi was a standout lineman at Fordham and an assistant coach at West Point (U.S. Military Academy photo via Getty Images). The sweater (or “coaching jacket,” as it’s called on the auction house’s website) went on a much less heralded journey, according to the Citizen-Times. Former Army assistant Bill Wannamaker somehow acquired it during the one year he and Lombardi coached together. Wannamaker and his wife, Ann, moved to North Carolina in 2003, and Bill Wannamaker died in 2008. Ann Wannamaker took the sweater to the Goodwill years later; Heritage Auctions agreed to donate its $4,000 seller’s fee to Goodwill, the Citizen-Times reported. The sweater may have boasted an impressive return on investment, but it was far from the highest-grossing item on the auction block, according to ESPN’s Darren Rovell: A game-worn Sandy Koufax rookie jersey netted more than $573,000, and a game-worn Mickey Mantle jersey from 1954 netted more than $400,000. The sweater wasn’t even the top-ranking military-related item, per Rovell: A 1966 letter written by Muhammad Ali to the Selective Service, requesting a religious exemption from the draft, went for $334,600. Read more about Lombardi and West Point, and his playing days at Fordham, here.